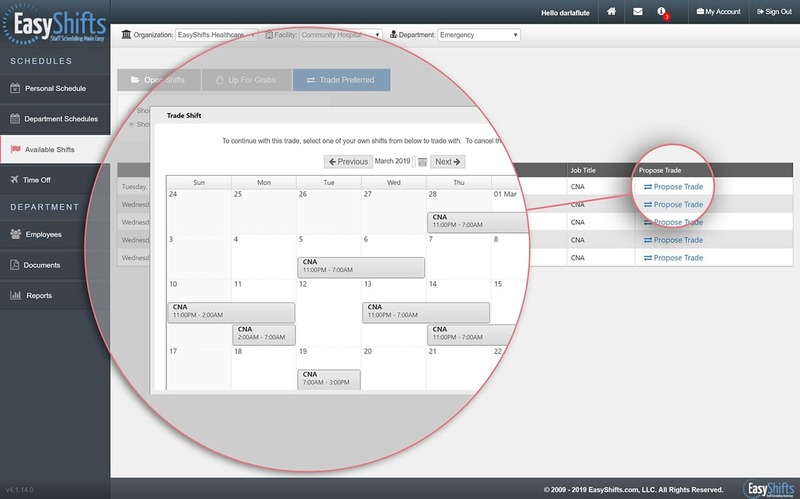 Creating work schedules can be extremely challenging. 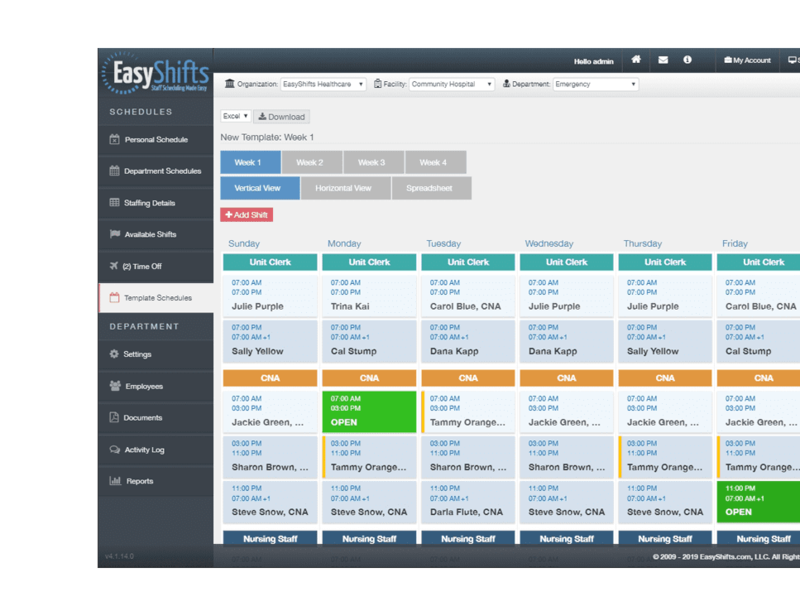 EasyShifts is an online tool that will make your scheduling easier than you ever thought possible. 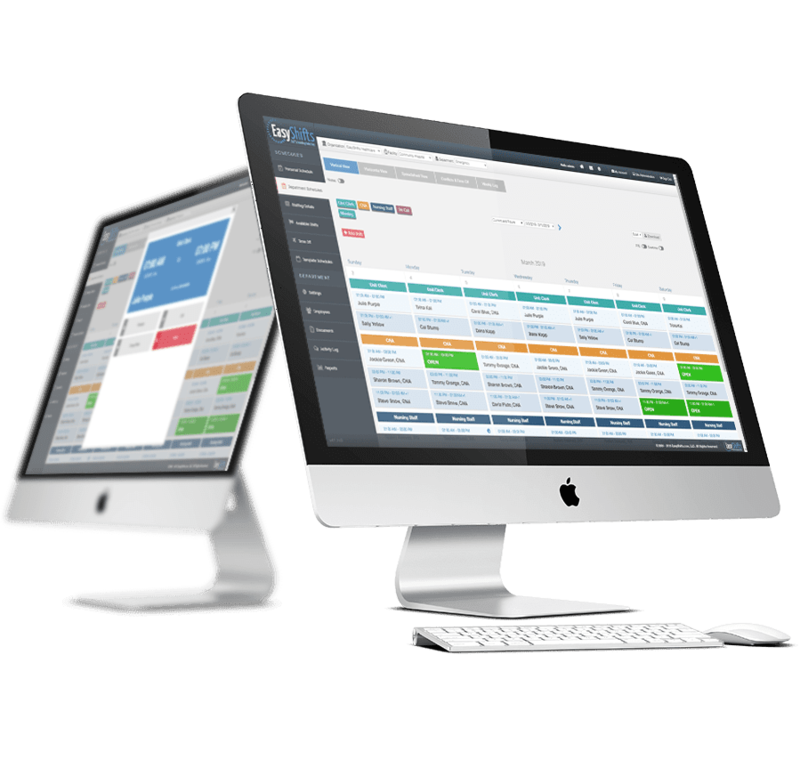 It is highly customizable and can simplify even the most challenging of work schedules. Ready to get started? Send us some basic information and one of our representatives will schedule a time to provide you with a personal live demo. 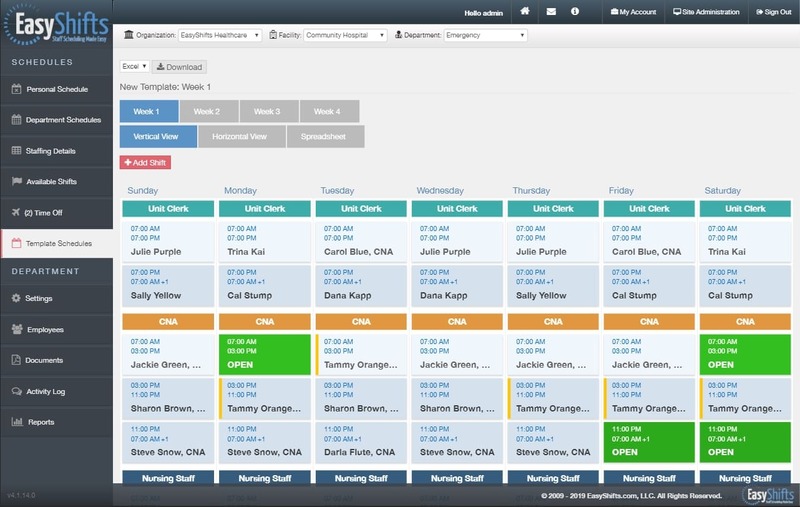 This is the master schedule you will create when initially setting up your department. This only needs to be done once. 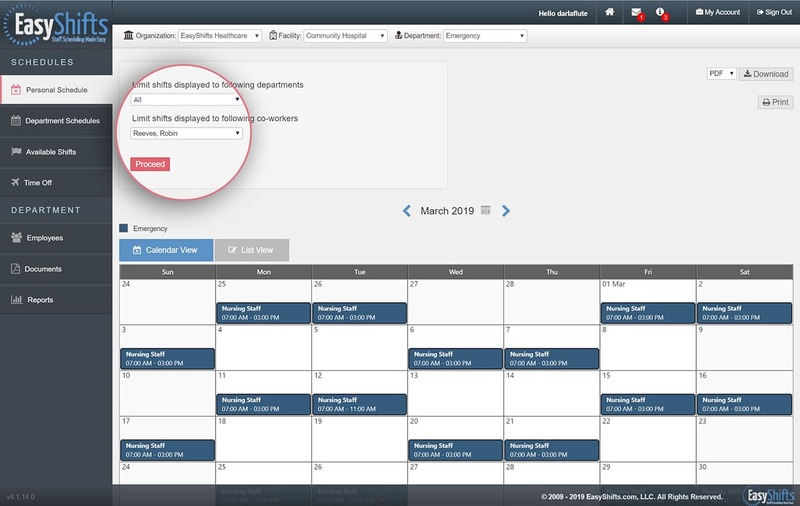 Then, once the Template Schedule is created you can create department schedules in mere seconds every time. 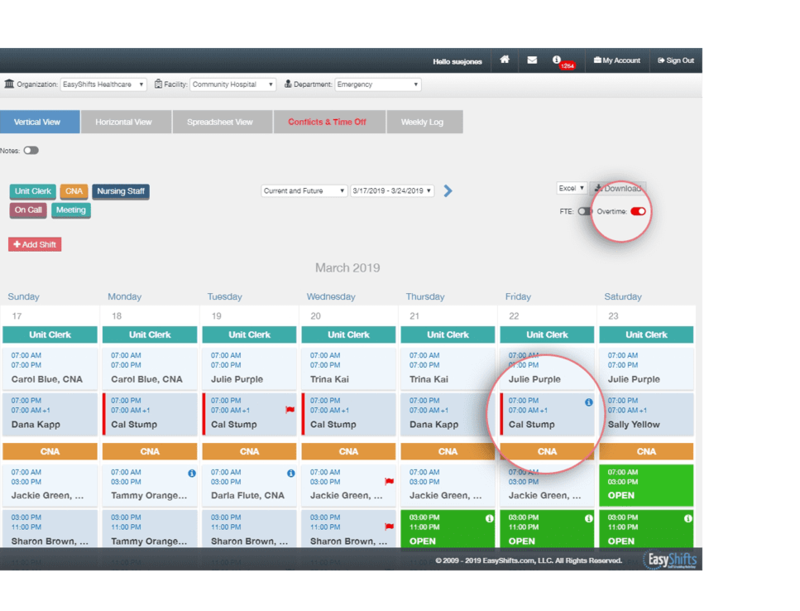 Create a basic schedule layout that you can reuse over and over again. Make it as simple or detailed as you like. Once it’s made, simply fill in any open shifts. Trading made easy. 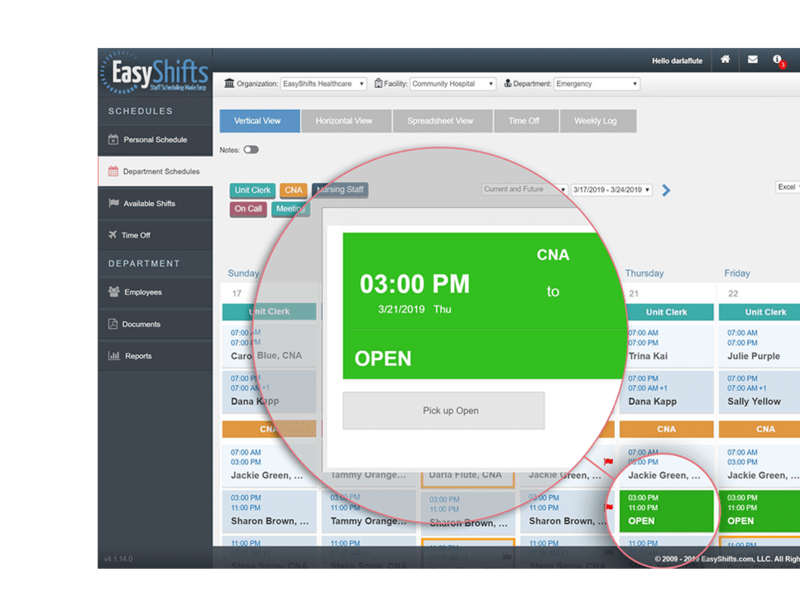 EasyShifts allows users to trade shifts. 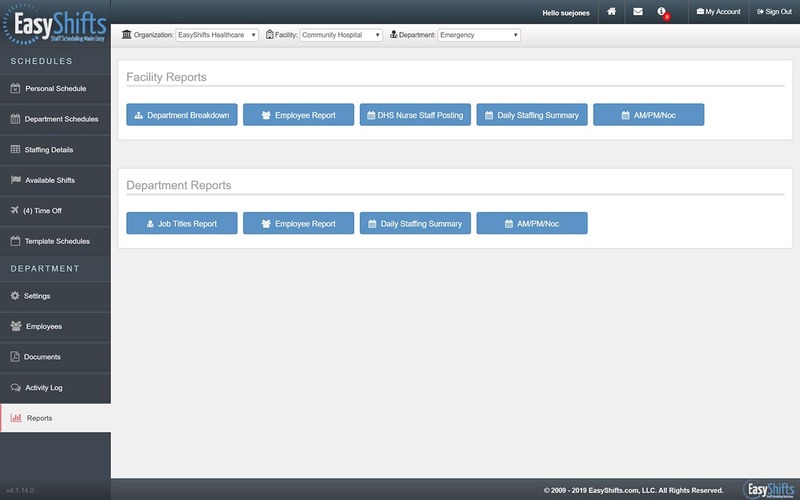 It ensures the employees have the proper qualifications and availability for the shifts in questions. At the same time it will prevent them from going into overtime. 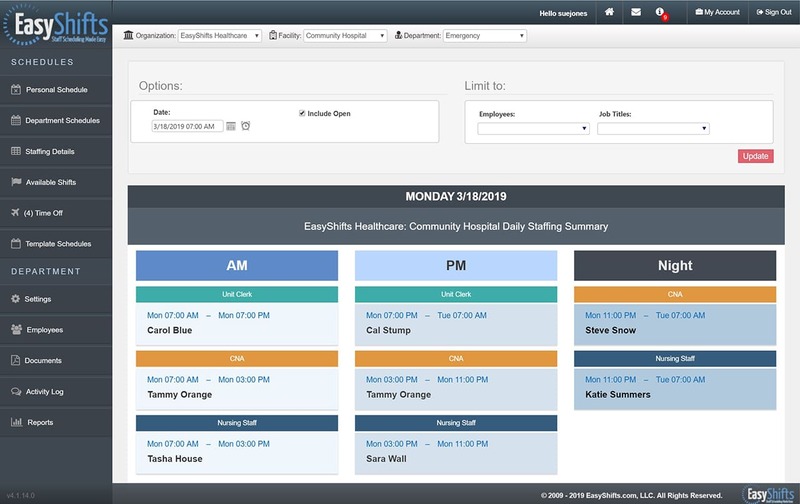 EasyShifts will also alert the manager so they are up to date. 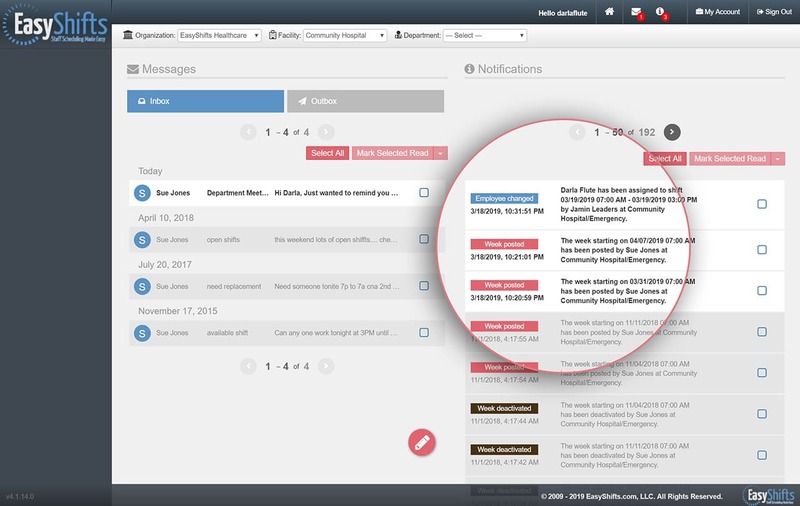 Receive instant notifications via text or email whenever a schedule changes. You will always know when a shift was picked up or a trade was requested. 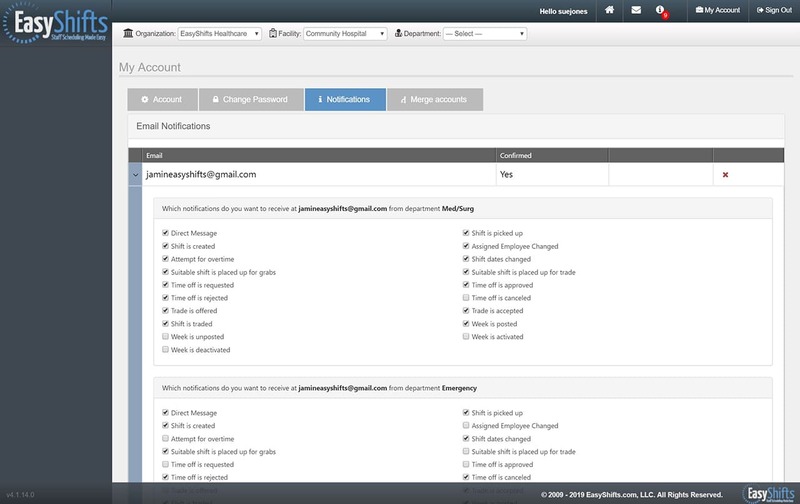 Configure what notifications you want to your preference. 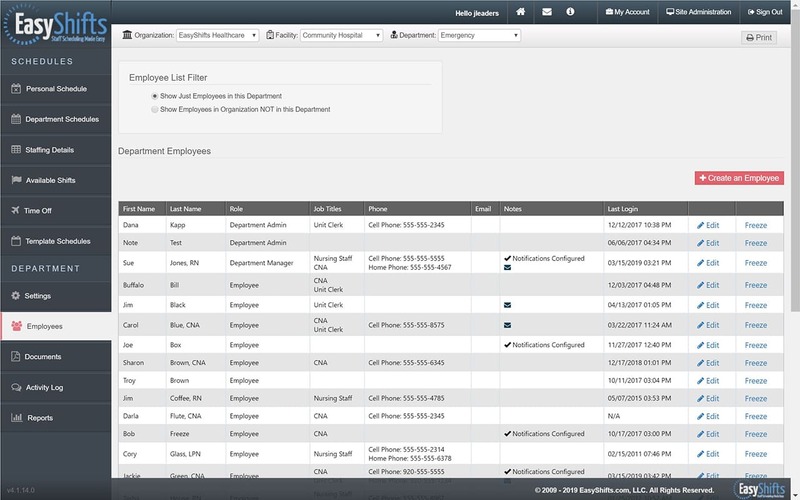 Employees receive instant notifications via text or email whenever their schedule changes. Configure what notifications you want to your preference. Want to know when an extra shift is available to pick up? EasyShifts can do that too. Need to ask a coworker or manager a quick question? 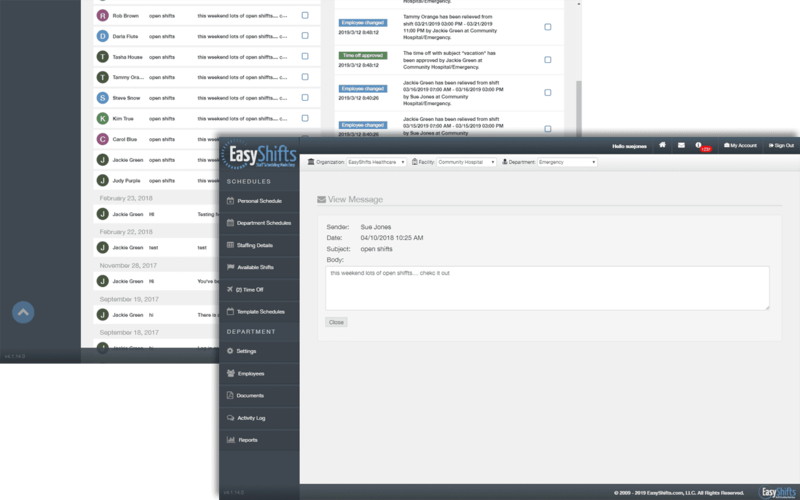 Message them directly through EasyShifts! Any updates pertaining to your department can also been seen on the Message Board. 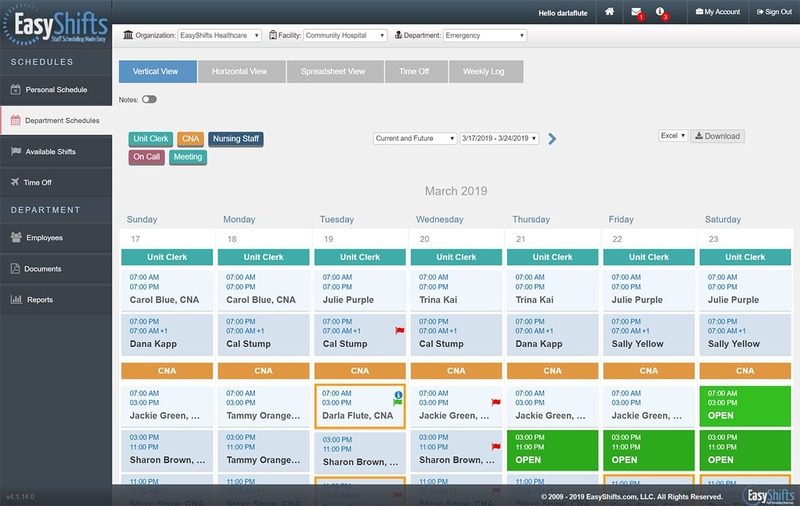 View your personal schedule anytime, anywhere via computer, tablet or phone. Want to see who you’re working with next week? Or want to see if a coworker is available to cover your shift next weekend? Check out their schedule online. 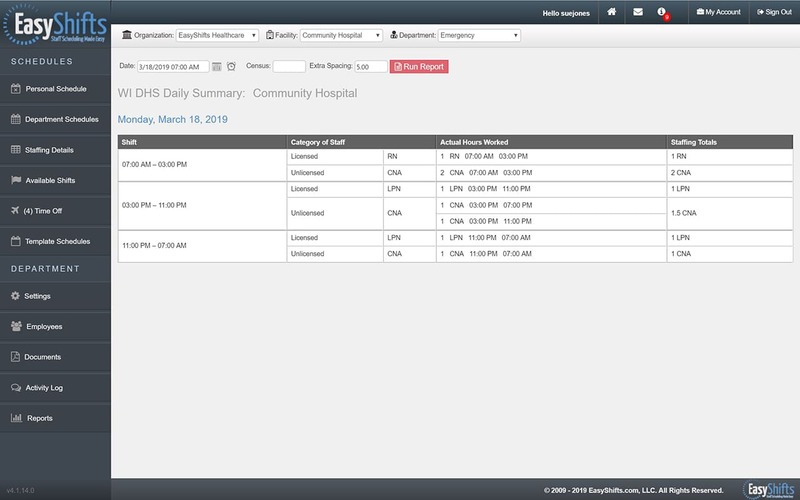 See your entire department’s schedule anytime you want. 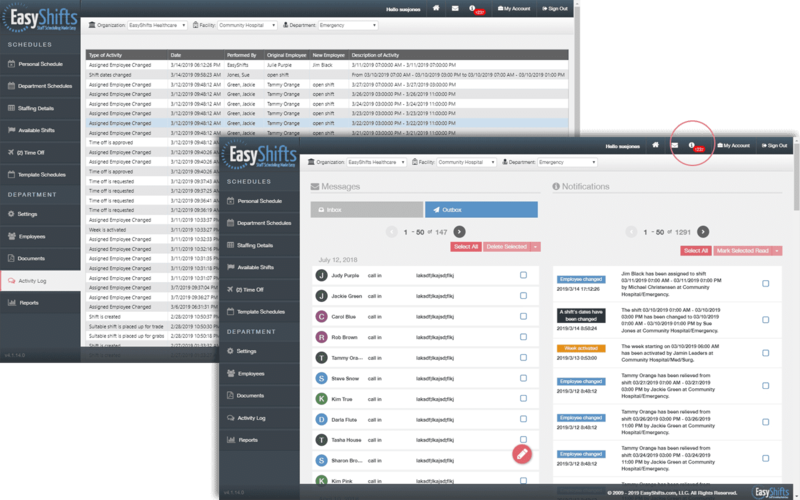 Always be in the know with EasyShifts. Hoping to pick up a few extra hours this month? No problem! 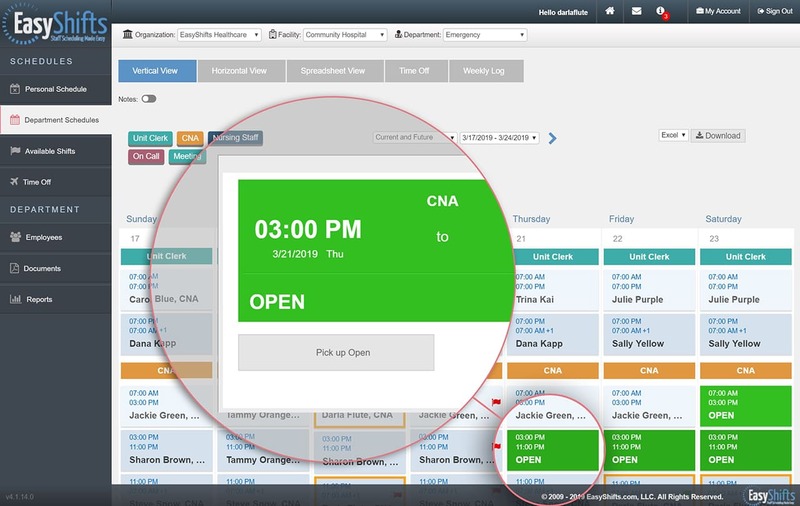 See a list of all available shifts and make an instant request to pick up the shift. 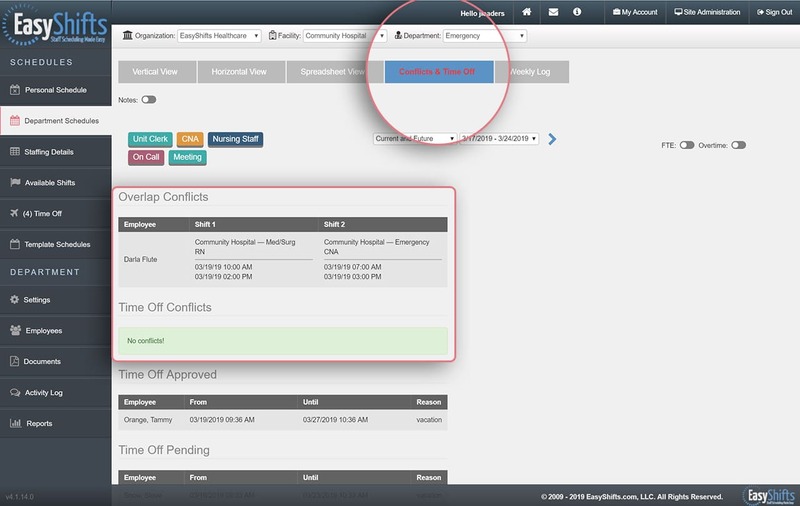 Employee’s can make and submit a time off request in about 1 minute. 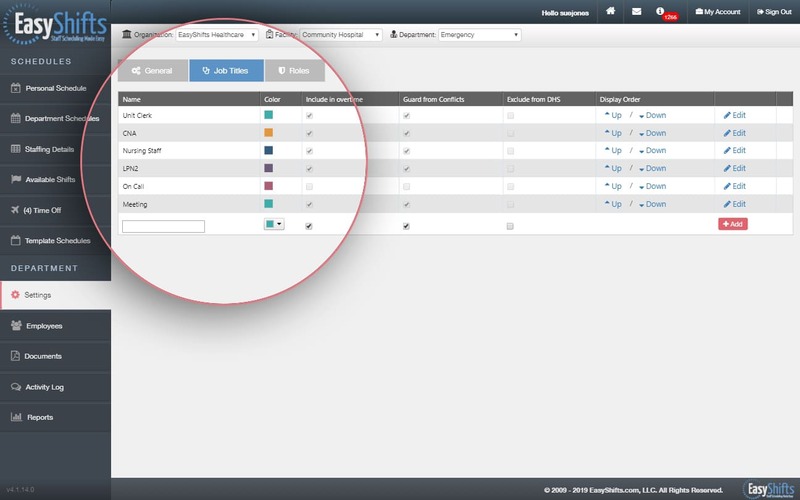 Managers love that it keeps every request perfectly organized. 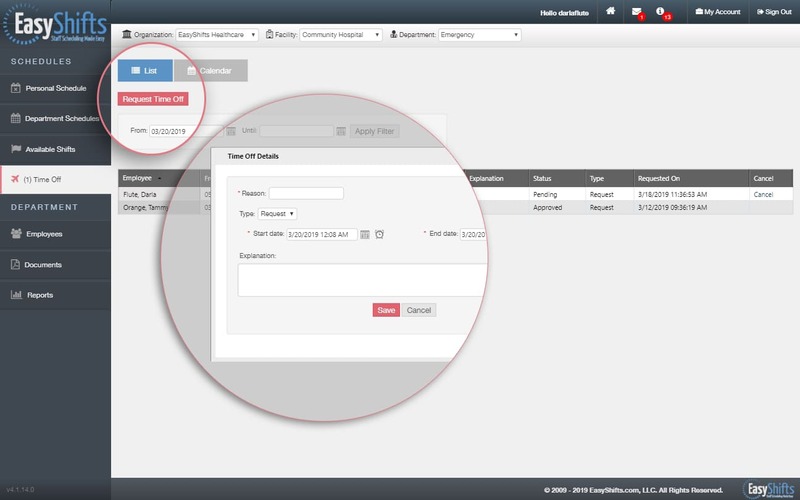 Let EasyShifts be your second line of defense. 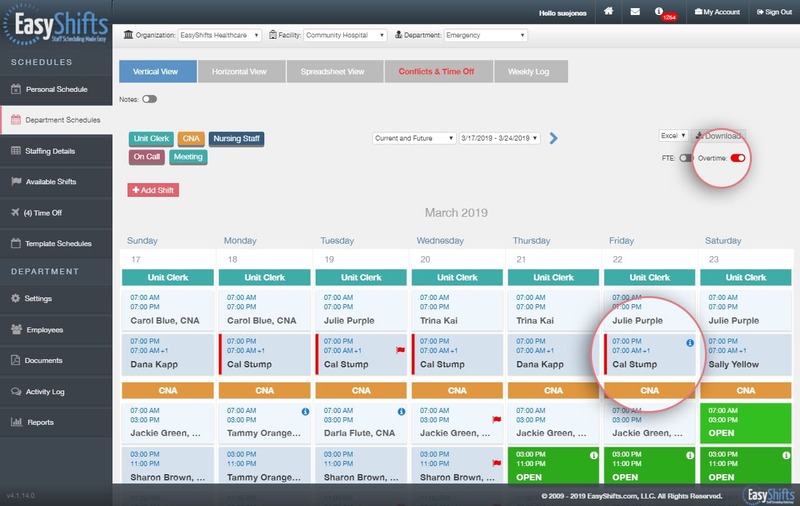 It double checks your schedule for overlapping shifts and makes sure you didn’t schedule anyone during their vacation you just approved. Employees come and go with time. 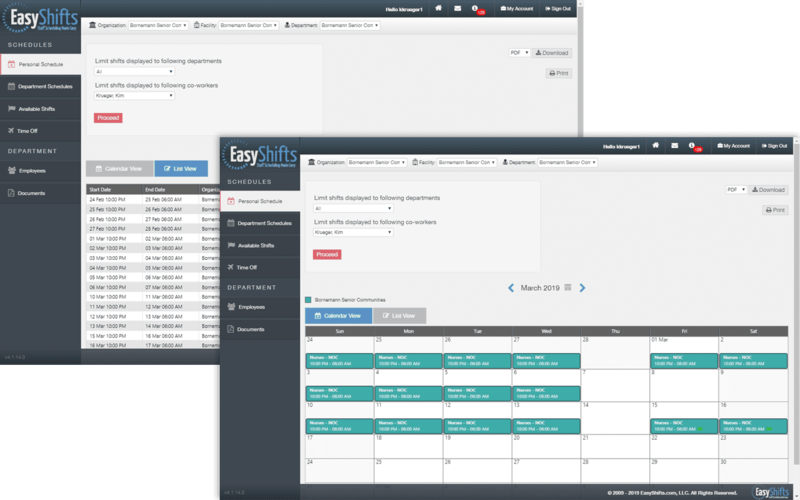 EasyShifts make it easy to add or remove users so your schedules are always up to date. Receiving instant notifications is great! But receiving notifications you don’t want isn’t so great. 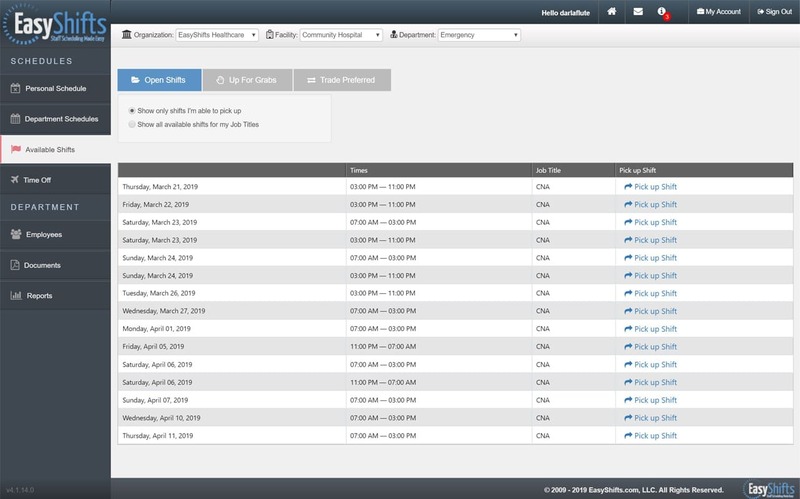 EasyShifts allows you to choose any combination of our 19 different notifications you’d like!